In honor of breast cancer awareness month, New Balance is painting the runway pink with a special fashion show (open to the public) on October 11th from 6-7:30pm at the NYC New Balance store on Fifth Avenue. New Balance partnered with NYC-based designer, Jacqueline Quinn, to create a one-of-a-kind dress using materials from the 860v2, its official Race for the Cure® running shoe. 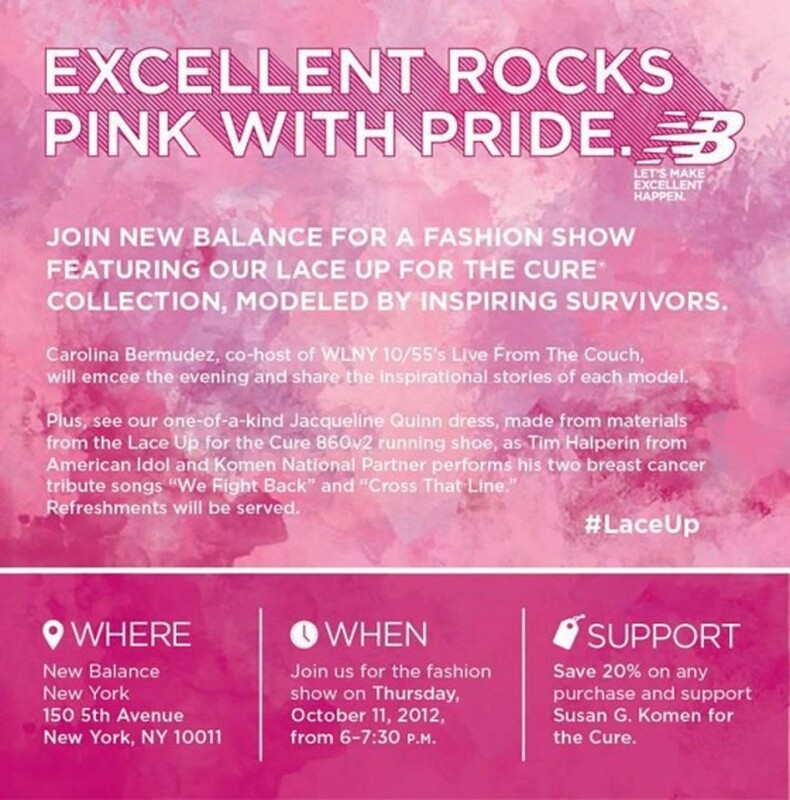 The fashion show will feature New Balance’s Lace Up for the Cure Collection modeled by inspiring survivors and will be emceed by Carolina Bermudez of Live From the Couch. American Idol’s Tim Halperin will also be performing.